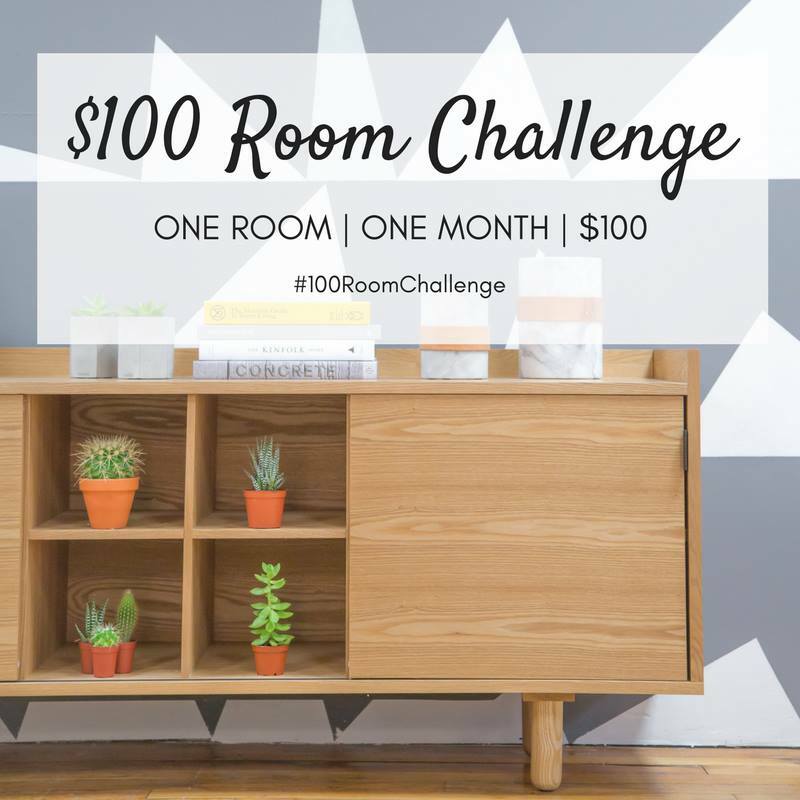 Here we are in Week 3 for the $100 Room Challenge. 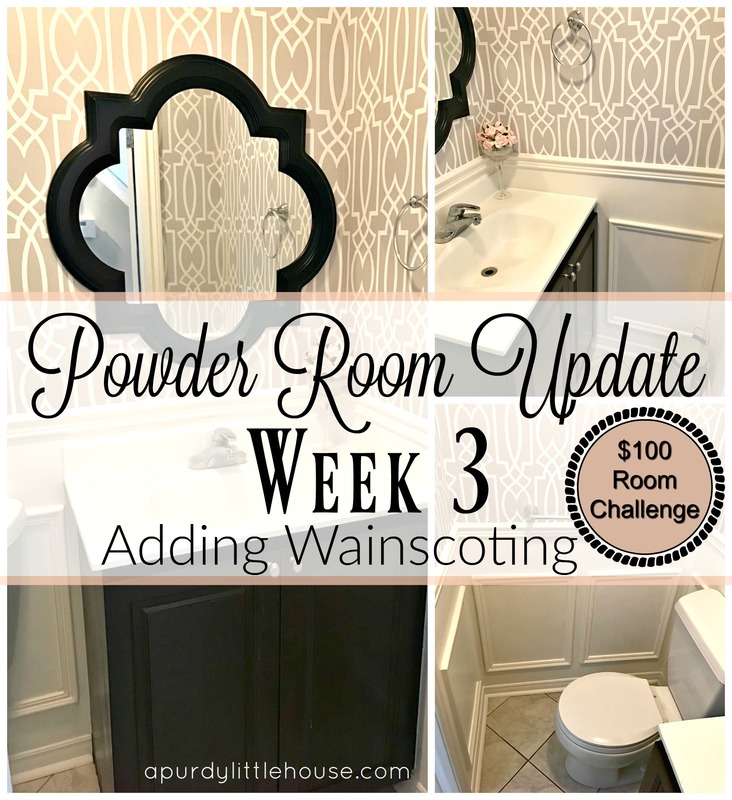 I’ve been working hard to update my main floor powder room using only $100, and it’s forced me to get pretty creative. 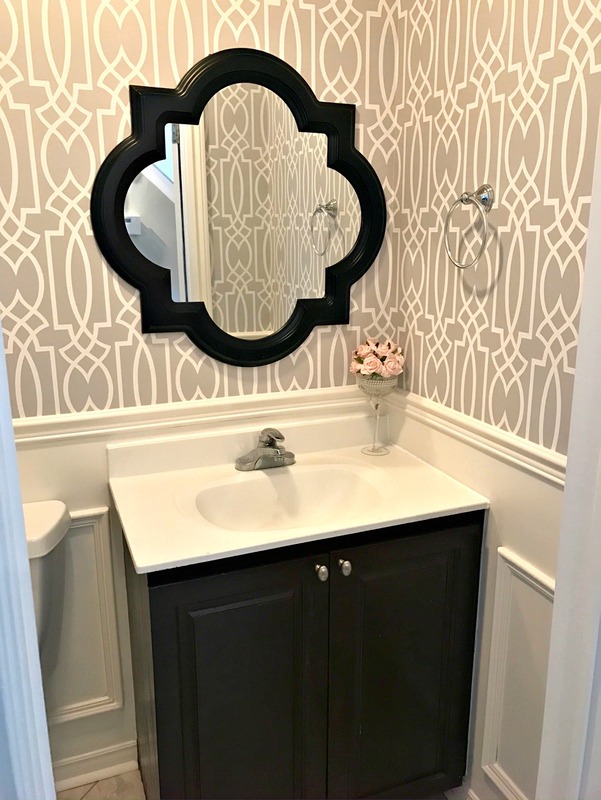 I’m loving how it’s turning out so far, and can’t wait to get to the finish line with my little powder room update. Thank you again to Erin from Lemons, Lavender & Laundry for hosting this fun challenge. It’s been amazing seeing how my blogging friends have been working towards transforming their spaces using only $100. There are so many creative and inspiring ideas, so be sure to check them out at the bottom of this post. So, my total spent so far is $58.96. 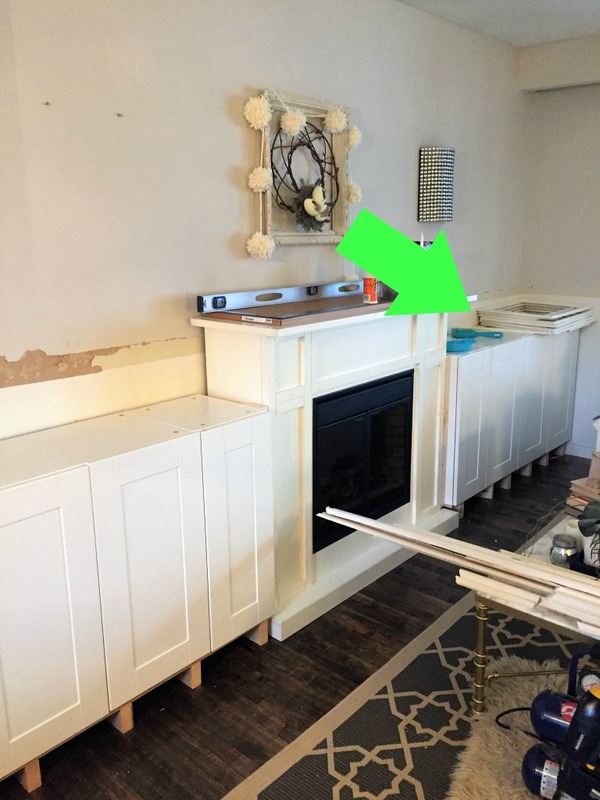 Remember my post about adding Built-Ins around my Electric Fireplace featured here. I had to remove wainscoting boxes along that wall, which left me with just enough boxes to do a tiny room…. a powder room in fact. The removal process left them in rough shape, but they were worth saving because they can have such a huge impact on a space. Peeling paint is not my favourite thing in the world… :/ Scissors were my friend for this part. After the boxes were all cleaned up, I installed the chair rail using a level and nail gun. 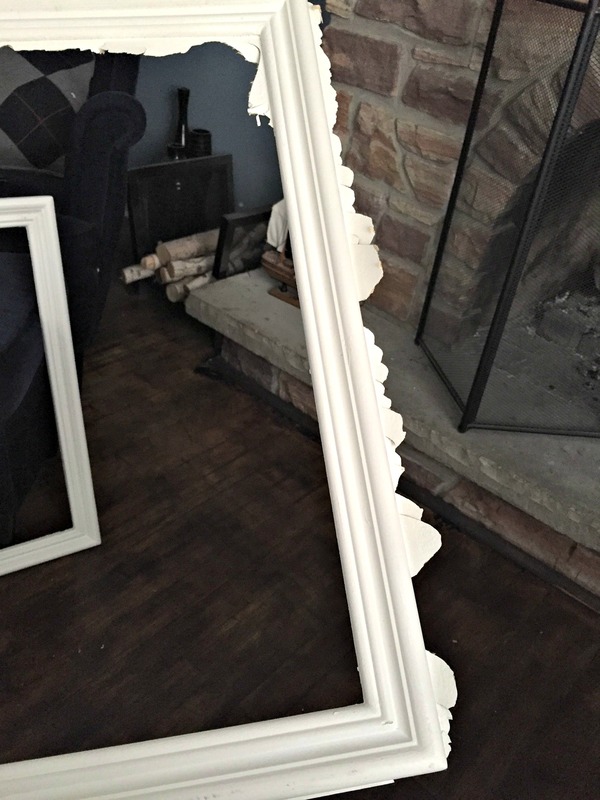 For the chair rail, I picked up 3 eight foot pieces of trim from my local Restore for $3.00 each. When I found 3 of the same kind, I did a little happy dance. The Restore is fabulous and affordable when buying small amounts of materials. The next step was taping off the area to caulk the gaps, priming and then painting. I love how it looks with the creamy white against the trellis wallpaper. I couldn’t resist shopping my house and adding the little faux pink roses. That’s it for Week 3. 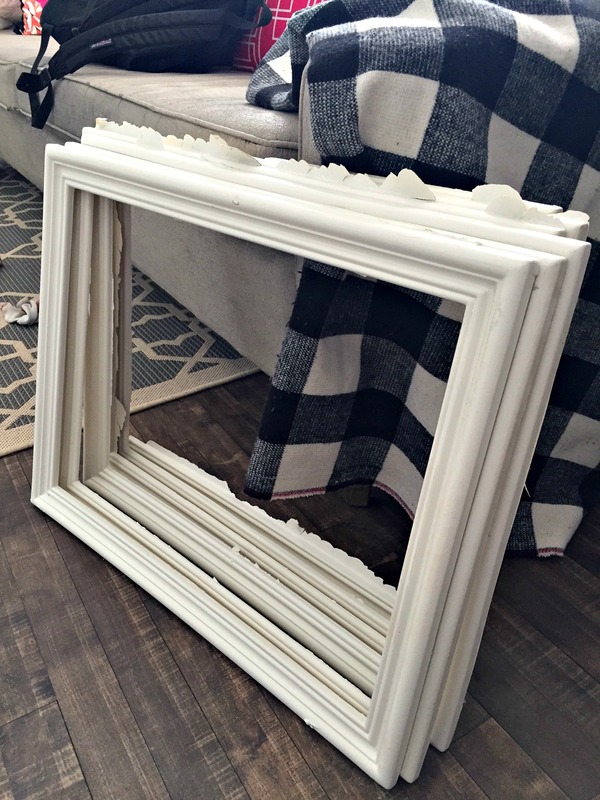 Next on the agenda is to spray paint dollar store frames and create some DIY art for a little gallery wall. Don’t forget to check out what my blogging friends have been up to and to see the progress they’ve made on their $100 Room Challenge. 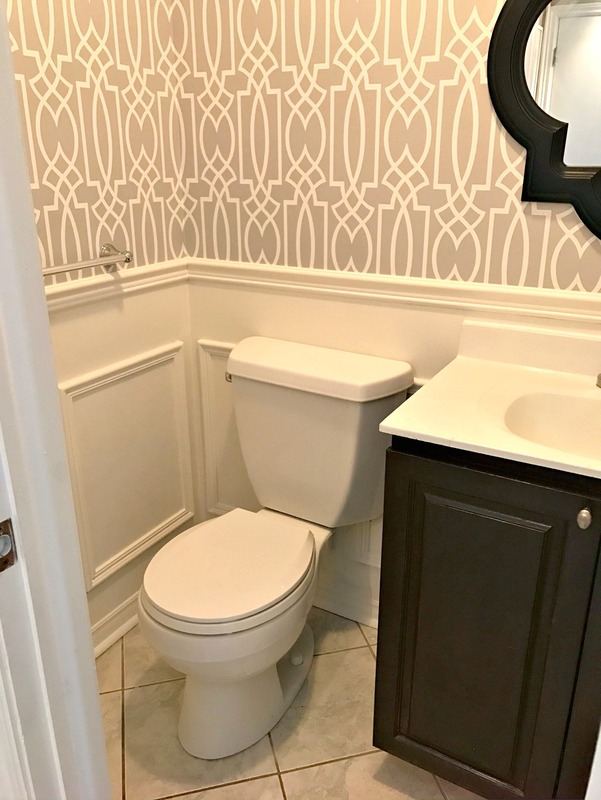 Oh my gosh that wallpaper and wainscoting had made phenomenal impact! I’m so excited for your progress! Love the way it’s looking! 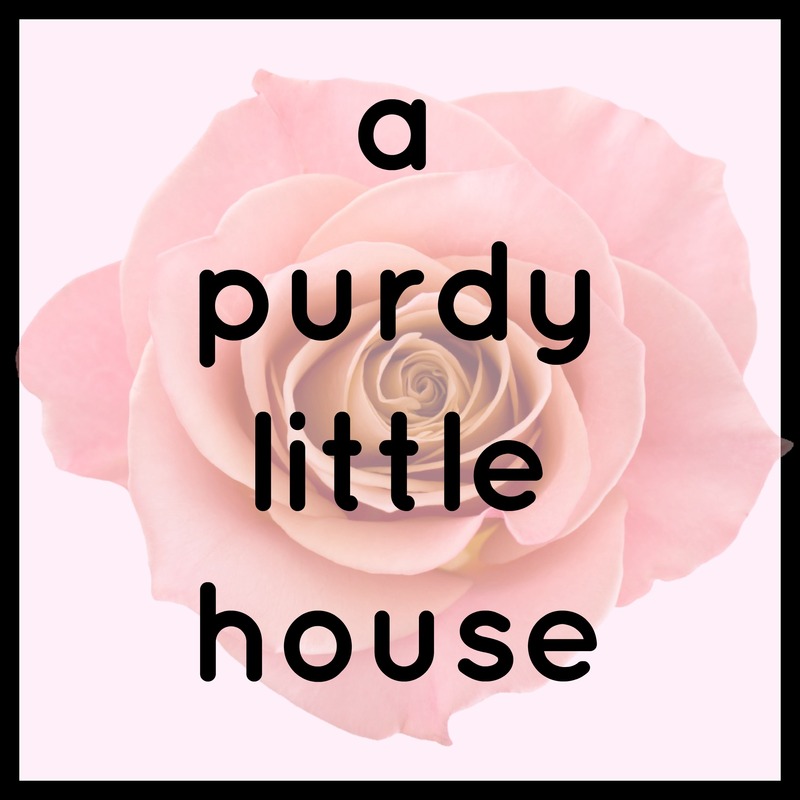 So convenient when you can shop your own house! how smart to save & re-use those boxes! Awesome! Picking my jaw up off the floor! This looks amazing!!! Way to reuse what you already have on hand. Seriously gorgeous! Can’t wait to see the artwork! They look awesome! It adds so much character to the room! I love it! Wow, you must be real happy about this transformation. What a change!!! Good work! 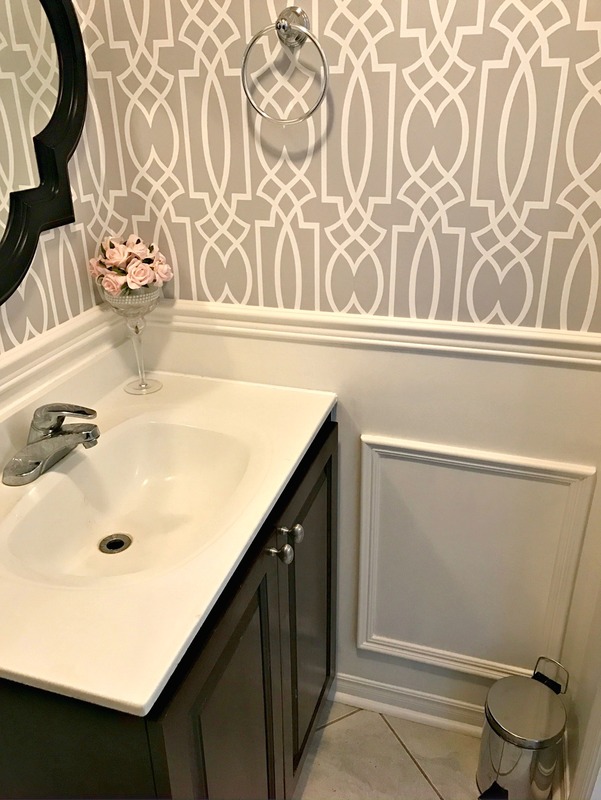 It looks great Sue, what a big impact the wallpaper and those molding boxes make! Wow, what a great way to reuse those. They look awesome in your bathroom, so impressed! Sue, your bathroom looks amazing already! 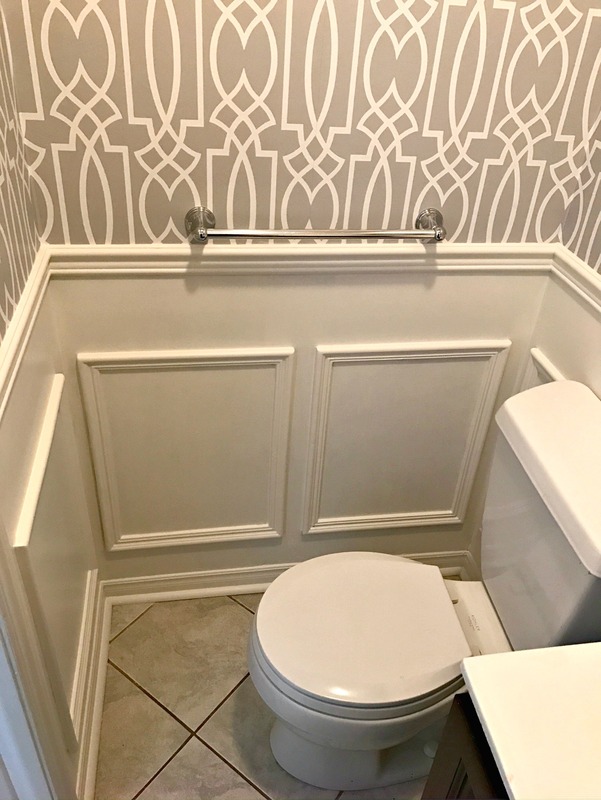 I’m in love with the wallpaper, and the wainscoting looks great. Wow! It adds so much character! You were so smart to save those! I cant believe you did all that on the walls for less than $60 already! Saving those wainscoting boxes was brilliant. It’s looking so good. I love what you have done so far. The wainscoting looks beautiful! I can’t wait to see the reveal.